The majestic altar of Saint Gregory the Great Parish Church. Christmas lanterns adorn the quaint town of Majayjay. Forty minutes away from PatisTito Garden Café is the town of Majayjay in Laguna. Quaint and rich in history, Majayjay has a European feel to it with its narrow roads and Spanish architecture. Found in the town's center is the parish church of Saint Gregory the Great. Centuries old yet still intact, it is recognized as a cultural treasure by the National Museum of the Philippines. The charming Romanesque architecture is a delight to explore. The altar of Saint Gregory the Great Parish Church is incorporated in the community Belen found across the church. 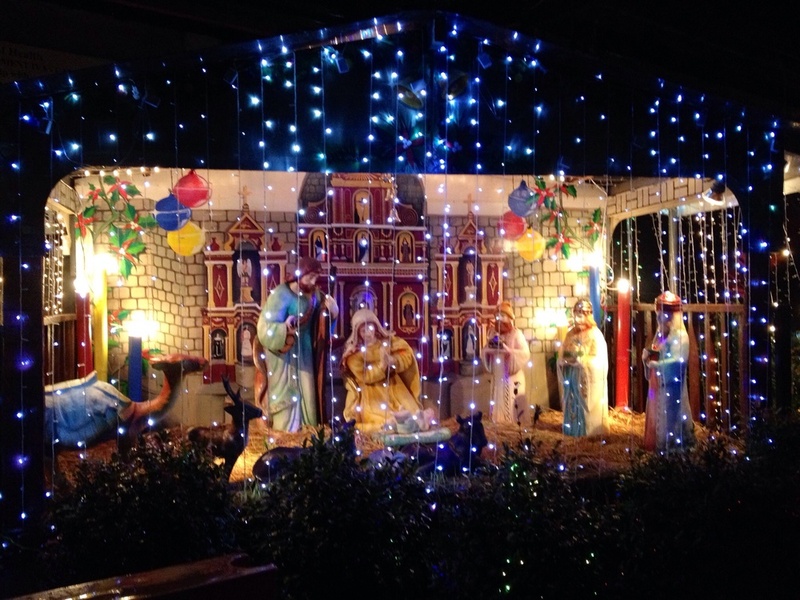 The community Belen across the church adds to the festive atmosphere. Patis, Tito and family heard Misa de Gallo in Saint Gregory the Great Parish Church. A pleasant surprise for them was a vendor found beside the church who served piping hot and freshly made puto bumbong wrapped in banana leaves which was quite a treat to enjoy during the Christmas season. 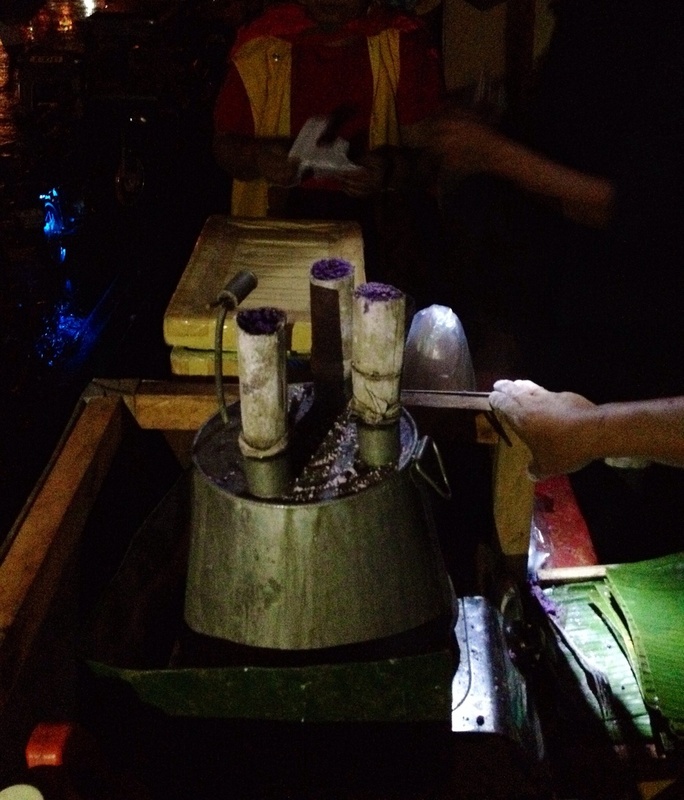 Freshly prepared puto bumbong is perfect on a cold Christmas evening in Majayay.